This week on Lost Treasures of Gaming David Perry of Shiny Entertainment was on to discuss Earthworm Jim. Fred decides to show off his copy of the “Special Edition” playing on his Sega CD. This week Fred is joined by special guest Rob “Trees” (formerly of EZ Mode Unlocked and GH101 alum) to ask, “What’s your favorite game?” They gather answers from the listeners and then have some fun with them. I was an avid Magic: The Gathering fan since the day it released. While I jumped in at the tail end of Unlimited, the first run of the game, my friends and I really jumped in at the Revised edition that combined a majority of the core Unlimited set and integrated the then two expansions Arabian Nights and Antiquities. If you are a Magic: The Gathering first release player, the most intriguing, powerful, and expensive cards exist in the pre-Revised era. This is why when Microprose released Magic: The Gathering game in April of 1997, which was based purely on the Unlimited set, my friends and I were ecstatic. Couple that with the reduced price update, Spells of the Ancients, that added Arabian Nights and Antiquities in September 1997, we all had nostalgia for a game that was only about 4 years old. I think the biggest factor is the what Magic: The Gathering is – a card-based game that lives and dies by the introduction of new sets and consistently selling cards to players – and the fact that these early power cards were super expensive and we all wanted a way to play with them, that I instantly migrated over. Furthermore, it was the first true Magic: The Gathering video game (all other attempts were other types of games with M:TG skins) that gave you everything you wanted: deck construction, online play, tournaments, and even a pseudo-RPG called Shandalar. It’s now available to play on modern systems, and free (provided you are willing to skate legalities), and I had a chance to jump back into one of my favorite high school PC games. For those not familiar with Magic: The Gathering, the next portion of this article is a brief history and explanation of the game (not how to play), but if you’re familiar, feel free to skip to the game section that follows. One of BioWare’s largest gaming achievements would have to be Mass Effect. In the follow-up to Jade Empire, and after 3 years of development, the original premiered on Xbox 360 and established the closest example to Star Trek in gaming. An entire universe was literally developed for the series and despite some stumbles here and there, the Mass Effect series is of the most notable from last generation. Join Fred, Jam, and special guest Me10dee as they delve into the world of Commander Shepard. This week Fred and Jam are discussing the development, release, and games behind Nintendo’s most popular portable: the Game Boy. Released under the concept of keeping it addicting and inexpensive, the Game Boy was the first video game system to be embraced by the mainstream and thanks to a little game called Tetris was a must own for the 90s. Undertale is a game that is hard to ignore if you are a retro gamer. It strikes me as a bit of the hipster’s version of an SNES title because it seems to check all the boxes that get several communities pumped up as well as intrinsically embracing what is great about contemporary retro. 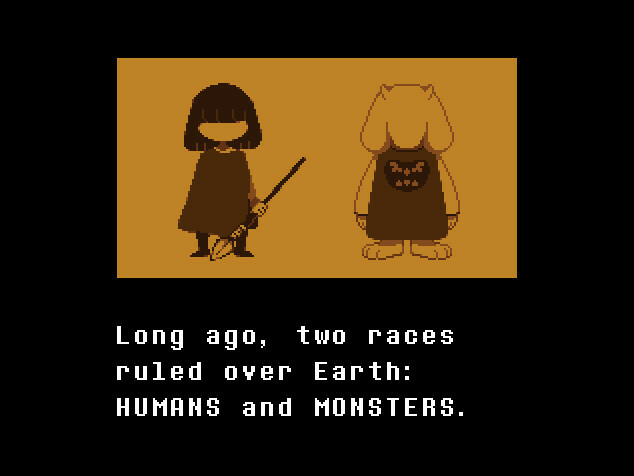 Couple that with the fact that it was almost completely created by one person, Toby Fox (who had art help from Temmie Chang), and there’s no doubt Undertale is an achievement. None of this really matters for a review, though, which forces the critic to look a work right in the face and give his or her opinion. Is Undertale a one-man-band achievement that results in one of the most impressive indie titles that hearken back to the days of 16-bit? Sure, but that’s all left to award ceremonies and Fox’s peers to decide. Is it the “must play” retro game that garners all the glittering prizes and game of the year nominations from my peers? Perhaps not. While I can admit to being entertained by the title – especially the very notable fourth wall breaking aspects that you almost never see coming – Undertale is weakened by the zeitgeist and harmed by the fact that no one on the Internet can just let you play a game anymore. That game, while great, leaves more to be desired. Undertale began to make waves with the Earthbound crowd and while it’s not quite as heady and definitely not even a fraction of the length of those titles, Undertale does grow from those roots. Personally I was never all that fond of the series (although I have not yet played Mother 3), but the humor was undeniably charming and Undertale embraces and builds upon that humor in spades. You play as a character named “the child” who is given a name of your choice and skates that line of androgyny just enough that your avatar can identify as whatever they want. An introduction explains that there are two worlds, the humans and the monsters, that have become separated from one another and whenever a human enters the world of the monsters they become corrupted and never escape. As your quest begins, you start to learn that the irony of this is that monsters aren’t all that bad and much like humans just have a wide spectrum of personalities and behaviors. The theme is hammered home when you discover that interactions with monsters are just that, interactions, and just because video games have taught you that fighting is the only way to go that you have a slew of other options. From this point on you journey into the world to behave as you wish and reap the consequences of quite literally all of your actions along the way. The original Xbox was a system with some incredibly gems on it that really didn’t receive much appreciation until near the end of the consoles life cycle. The game developer Bioware were all about the Xbox with their main hit on the system being Star Wars: Knights of the Old Republic then later down the road in 2005 they brought out one of the most overlooked titles from the company Jade Empire. Jade Empire really never found its audience, even to this day. Just mentioning this title to people today brings question marks in peoples minds. I remember seeing the game in an Official Xbox Magazine and being incredibly excited by the screen shots. Then the game came out and people just sort of forgot it was there. Today the game is passed off as one of the weakest titles in Biowares back catalogue. Jade Empire is a Western developed action role-playing game (RPG) you play as a martial arts hero that you choose at the start of the game. You can choose between 5 set character models (6 if you have the limited edition or special edition), you can choose to go with pre-selected stats or you can customize the heroes stats yourself. You unfortunately can’t customize your characters appearance which is a shame considering Bioware’s previous Star Wars title allowed you to alter your characters appearance. Due to scheduling conflicts, Fred and Jam had to do the Jade Empire game club as a live show and not an extra credit. BioWare’s first console exclusive (temporarily) and intermediary between Knights of the Old Republic and Mass Effect is an interesting combination of gameplay mechanics for the developer. 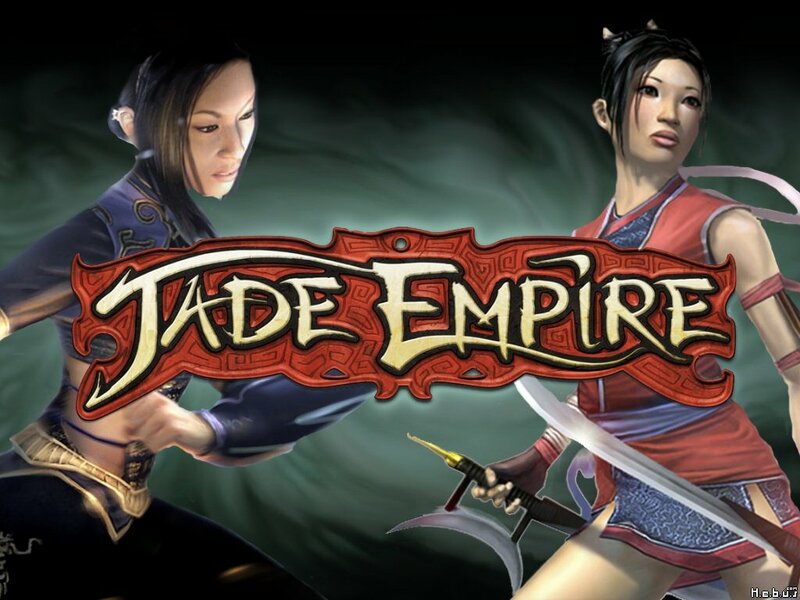 Fred and Jam delve into the development, mechanics, and campaign of Jade Empire, which is probably the most polarizing of BioWare titles. A brief documentary produced by G4 and found on the Limited Edition supplemental DVD. This week Syd and Sean were graced by the presence of a wonderful game developer named Mark Cerney. Responsible for working on a bunch of games we all loved including Sonic 2, Crash Bandicoot, and more, one of Cerney’s first releases was Marble Madness. In addition to being a newer perspective on games, this title was significant for many reasons both revealed in the interview and mentioned in this video.